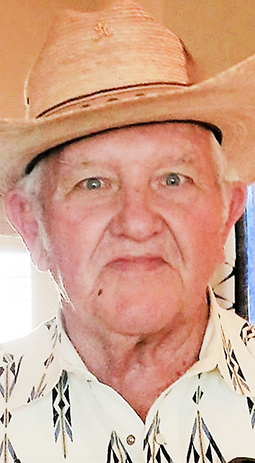 Shoemaker, 80, passed away Sunday, Dec. 30, 2018, at Artesia General Hospital. A full announcement will be published at www.andersonbethany.com when arrangements are finalized. James was born July 11, 1938, in Ralls, Texas, to David T. and Velma Shoemaker. He was a lifetime resident of Artesia, graduating from Artesia High School in 1957. Those left to cherish memories of James include daughter Jamie Good and grandsons Ryan Tyler of Artesia and Robert James Good of LaPorte, Texas; son James Troy Shoemaker and wife Synetta of Sundown, Texas, and grandsons Tanner James Shoemaker and wife April of Hobbs, and Skyler Hugh Shoemaker and wife Reba of Colorado City, Texas; granddaughter LaKayla Janetta Shoemaker and great-granddaughter Sawyer of Sundown; brother Roy Shoemaker and wife Sue of Mayhill; sisters Patrisha Gaussoin of Amarillo, Texas, and Latrisha Moore of California; nephews Roy David Shoemaker of Dexter and Ralph Shoemaker and wife Lori of Mayhill; nieces Molly Juarez and husband Danny of Artesia, and Martha McCarrel and husband Cory of Prosper, Texas; five great-grandsons; four great-granddaughters; two great-nephews; four great-nieces; and ex-wife Wanda Kay Shoemaker of Artesia. He was preceded in death by his mother, Velma Hunt, of Clovis; father David Troy and stepmother Martha Shoemaker of Artesia; and sister Frankie Shultz of North Carolina. Arrangements are under the direction of Anderson-Bethany Funeral Home & Crematory of Roswell. Condolences may be expressed online at www.andersonbethany.com.